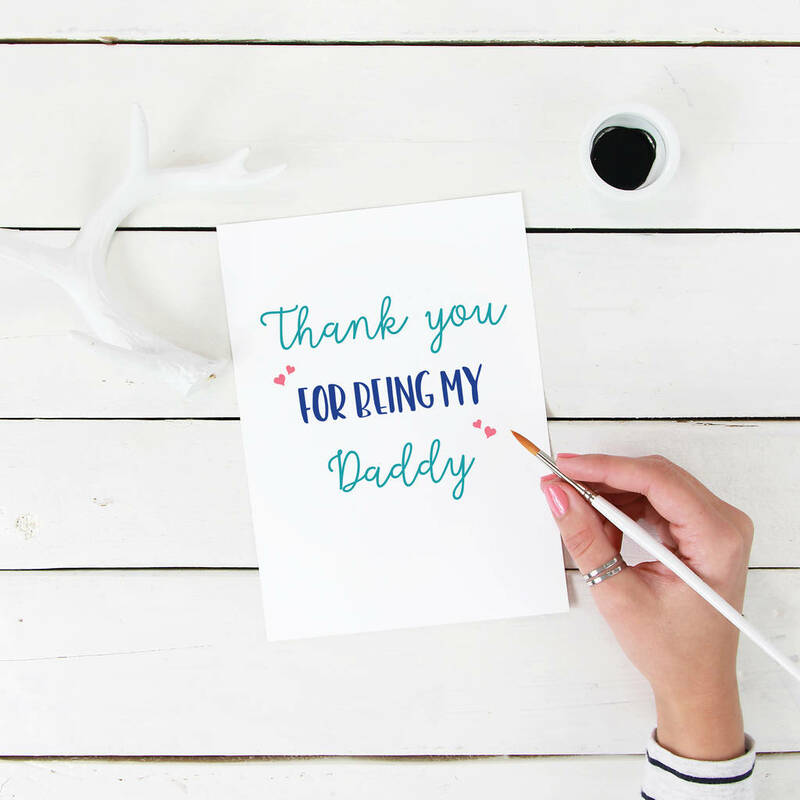 Thank your Daddy for being amazing and a wonderful parent to you with this typographic inspired, lovely father's day card. Show you Dad how much you love him with this lovely simple and straight talking greetings card. This brilliant card is left blank inside for your own message. You can change the word 'Daddy' to your own preference. This fantastic card is digitally printed right here in the UK to 300gsm paper and comes with a kraft brown envelope. Your card measures 17cm x 12cm and is posted out in a hardback envelope to reach you in a perfect condition. This product is dispatched to you by Do You Punctuate?. More items from Do You Punctuate?